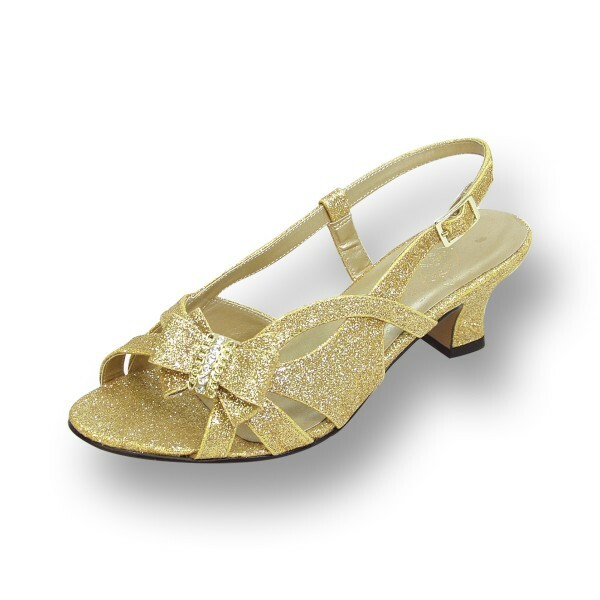 FLORAL Pixie women's extra wide width dress sandals add a stunning look to complement your outfit. 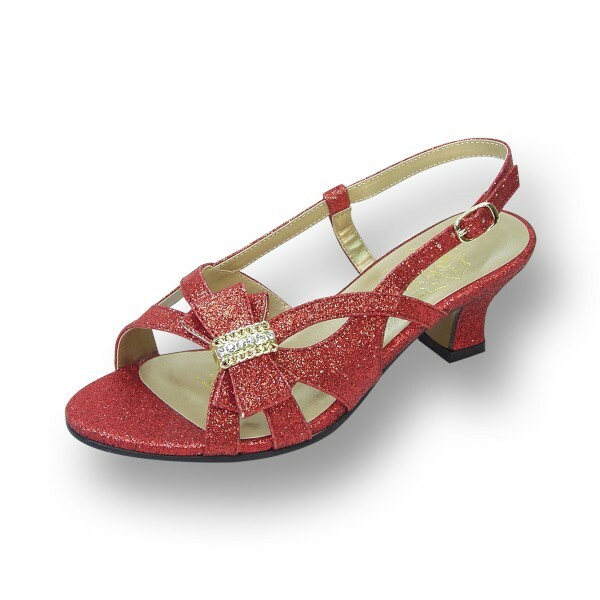 This ladies 1.5" low heel is made for comfort without sacrificing style. 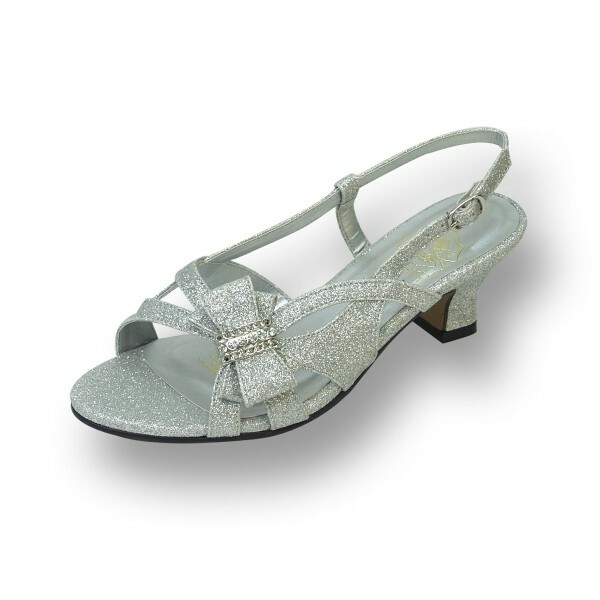 The adjustable slingback with decorative side bow and rhinestone jewels on an open toe front and all glitter fabric body is the perfect choice for that special occasion.